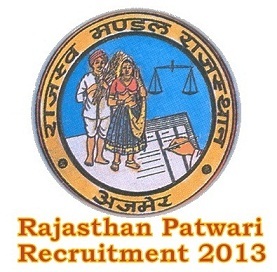 Rajasthan Patwari Exam Paper 2013, Answer Key: Rajasthan Revenue Board (www.bor.rajasthan.gov.in), Ajmer Rajasthan Today, 29th June 2013 has successfully conducted the Patwari Exam 2013 for 2271 post in rajasthan at different centers in Rajasthan. 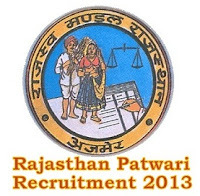 Now Patwari Exam 2013 Candidates are looking for Solved Paper of Rajasthan Patwari Exam held today, 29th June 2013 and Solution, Answer Key of Patwari Exam 2013 which is uploaded / announced by Rajasthan Revenue Board , Ajmer on 29th June 2013 at Official website of BOR www.bor.rajasthan.gov.in. Q.1.Which among the following is not a RABI Crop ? Q.2 Khatu-Shyam Temple is situated in which District ? Q.3 Who is Chief Justice of India ? Q.4 Smallest National Highway (NH) in Rajasthan is ? Ans: 71 B (5 Km Rewadi-Dharuheda-Alwar which have 5 Km in Alwar(Rajasthan)). Q.5 Who is president of National Innovation Council ? Q.6 Where is Rajiv Gandhi Tribal University? Q. 7 Who elect to UP-Sarpanch of Gram panchayat ? Q. 8 Govt rules for Village Area, how to given through ? 9. Which national Highway is not going through Rajasthan Resion? 10. In which District Sahariya Tribal is living in Rajasthan? 11. Where was Kalibai from district who sacrifice her during save her teacher life from police? 13. Who is Revenue Minister of Rajasthan on 2013?